Recently, Kellyanne Conway, U.S. 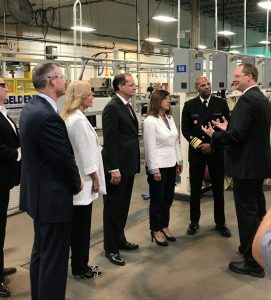 Surgeon General Jerome Adams, Second Lady Karen Pence, and U.S. Department of Labor Secretary Alexander Acosta visited Belden Inc. in Richmond IN to learn about the “Pathways to Employment” program in which Centerstone partners with Belden. The program offers applicants that fail pre-employment drug screens an option for tailored rehabilitation, and the chance to keep their job. In the event that someone in the pre-employment stage, or someone currently employed, fails a drug screen, they are referred to Centerstone for an assessment of their level of risk for a SUD (either “low” or “high”). 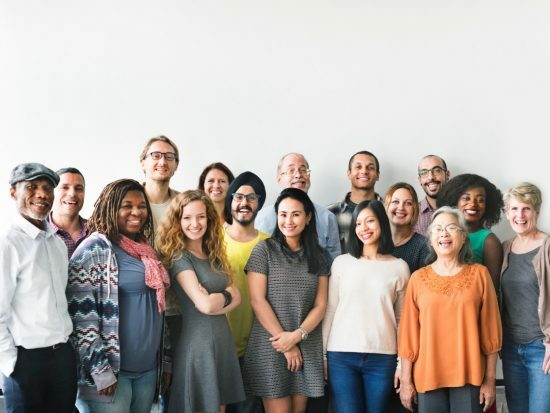 If a professional deems the individual “low risk,” they are referred back to the placement agency or employer, where they will be assigned to safety-conscious positions and monitored with random drug screens for a designated period of time. If a professional deems the individual “high risk,” however, then formal treatment is recommended. Should the individual agree to undergo treatment, an intake is scheduled, and a detailed treatment plan is developed with them. Should they feel it is appropriate, the employer has the option to allow the employee to work before their treatment is completed; in this case, the employee is assigned to a safety-conscious position, and regular communication occurs between the treatment provider and the employer. Since the program’s initiation at the beginning of 2018, fifteen people have failed these drug screens, 7 have been deemed “low risk,” while 8 have been deemed “high risk;” 4 had opiates present in their screens. Drugs tested for and found in drug screens include: marijuana, alcohol, cocaine, methamphetamine, benzodiazepine, and opiates including hydrocodone. The success rate of this program, as defined by passing a subsequent drug test and work participation, is currently 73%.